I figure it's about time I start a journal for this project, before I get too deep in, and can't remember what I've done to this car. 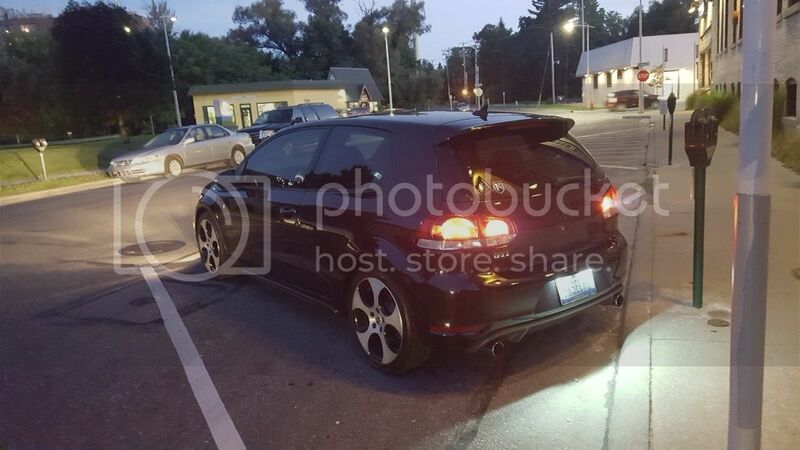 My first Volkswagen was my 2003 GTI. 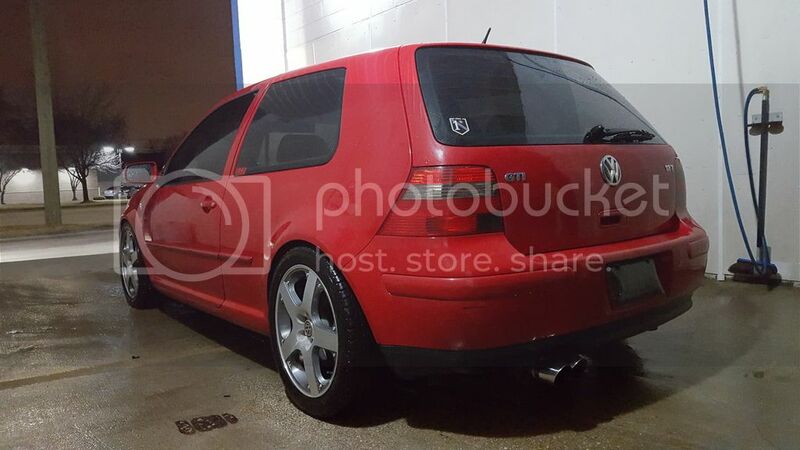 1.8t (AWP), M/T. I had it a good while before parting ways with it. It had a few bolt-ons, which made it a blast to drive. 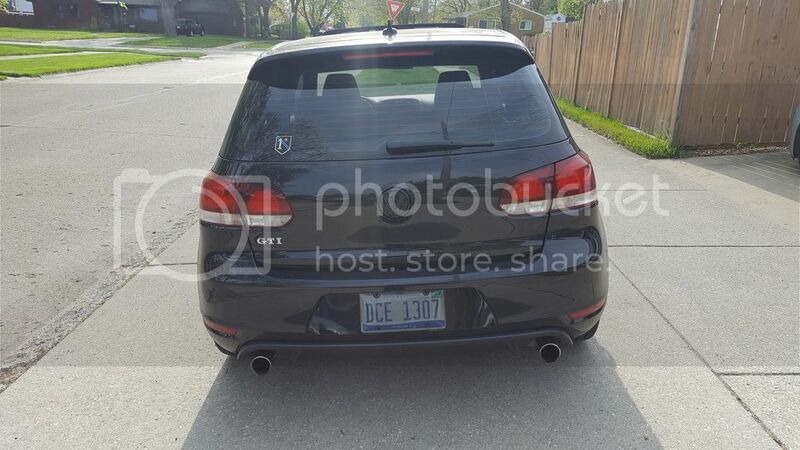 ECS CAI, 42dd 3" downpipe (catless), Eurojet catback, Forge DV, TSI coil-packs, and coil-overs. The sounds this thing made were intoxicating. I remember all the fun I had with that car as I type this. I digress. 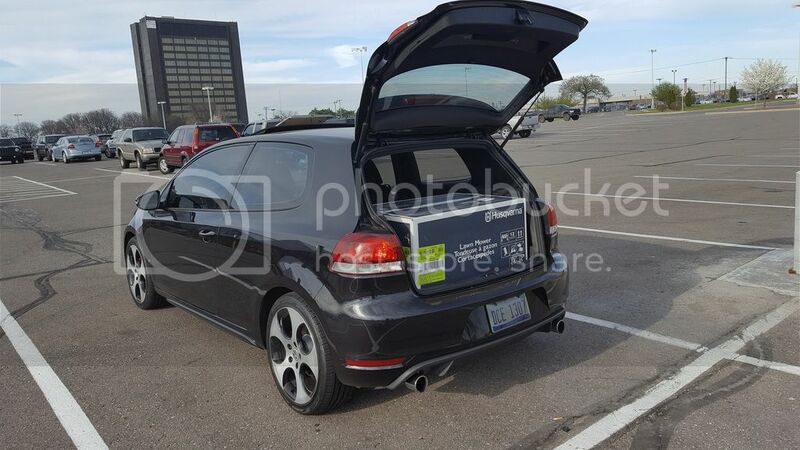 After selling the MK4 to a friend in March (2016), the search began. I had been back and forth between the GTI and Golf R, but ultimately decided on the GTI based on reliability for daily driving. Sunroof (my MK4 was one of the few GTI's with no sunroof). Red was my first choice, White second, DBP was third. 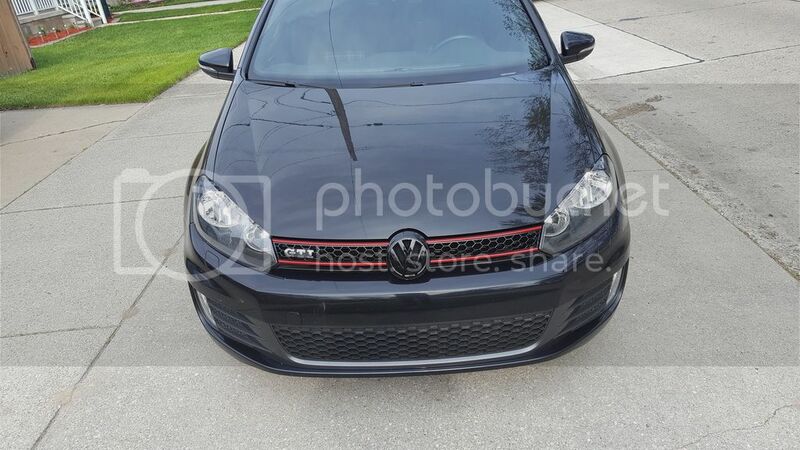 2012 GTI, 2 Door, M/T, Convenience & Sun pkg. 1 owner, 50K miles. Thanks for reading, and following along! I nearly got away with fitting a lawn mower in the hatch with out having to fold the rear seats. It just needed like an inch more. 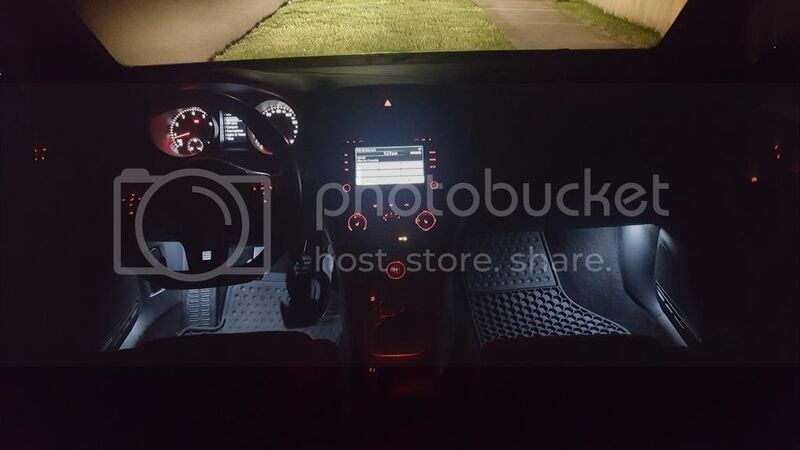 Installed deAutoKey interior and license plate LEDs. I love them! 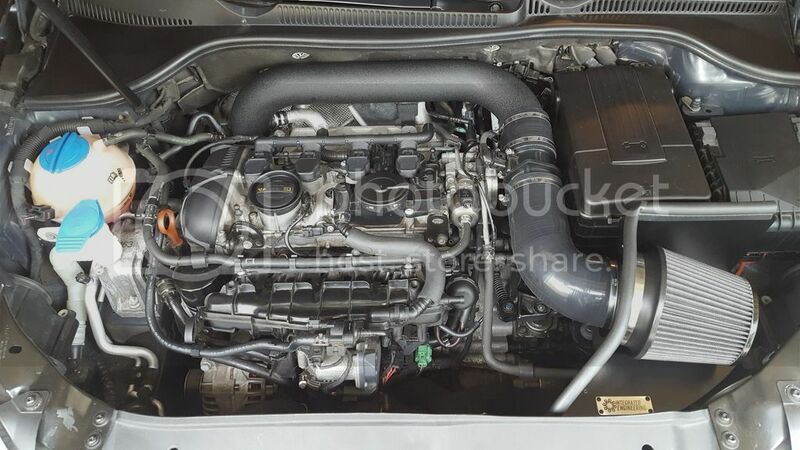 IE Intake. Great product. 10/10. The GTI is away for the winter. Many people drive GTI's through winter no problem. I can't bring myself to do it since it looks like brand new underneath. I bought a winter beater to drive, so the GTI will not see the road until spring. Over the winter I plan to buy parts, to have it ready come spring. I like what you have planned for the car. Pretty much what I want to do with mine. 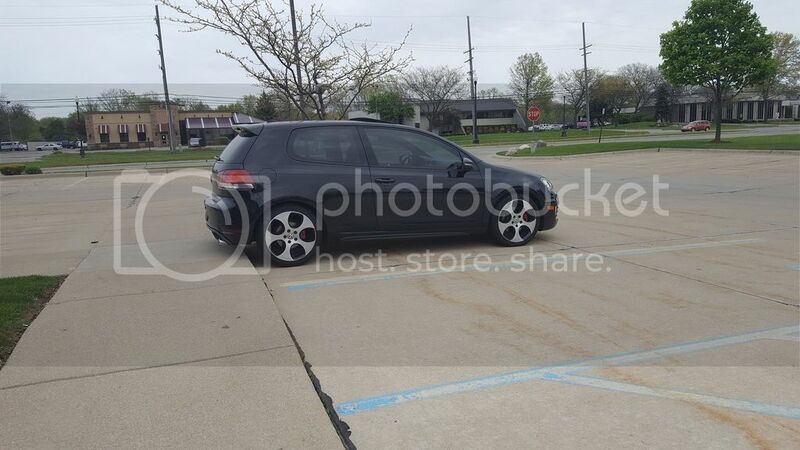 I'm interested to see how that matte/gloss black wheel combo looks on a DBP GTI. Take lots of pictures, please! Dude, love the wheel choice, those will look sweet. Great stuff. Thanks! I will be sure to take lots of pictures when I install them. Unfortunately won't be until spring. I wasn't planning on it, but I'm likely going to buy new tires for the KPS'. 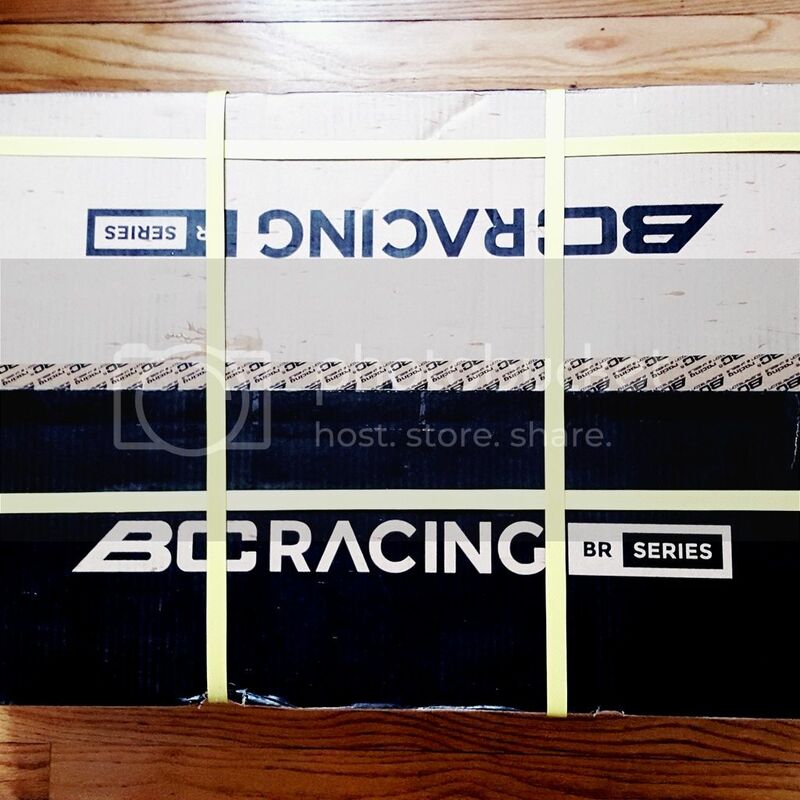 I'm thinking BFG G-FORCE SPORT COMP-2. Also, I'm going to powder-coat the Detroits while they are off the car in spring/summer/fall. Rotiform has grown quite a bit over the past couple years. Their multi-piece wheels are stellar, but I can't afford them, yet. You've got CCW classics. A top-notch, timeless wheel. You've got it figured out. Good plans there Since you want to go Stage2, it's better to include an upgraded clutch. And, if you really have K04 for the future, might as well get an LSD while getting the trans work done. Another suggestion, if it gets hot around where you live, get the car a better Intercooler for Stage2 and beyond. 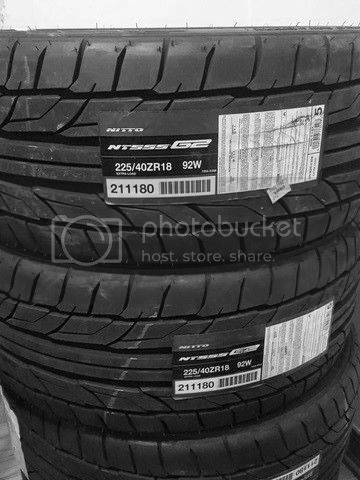 I bought a set of Nitto NT555 G2 tires. I've read good things, so I decided to buy them as a summer performance tires for the Rotiform KPS'. 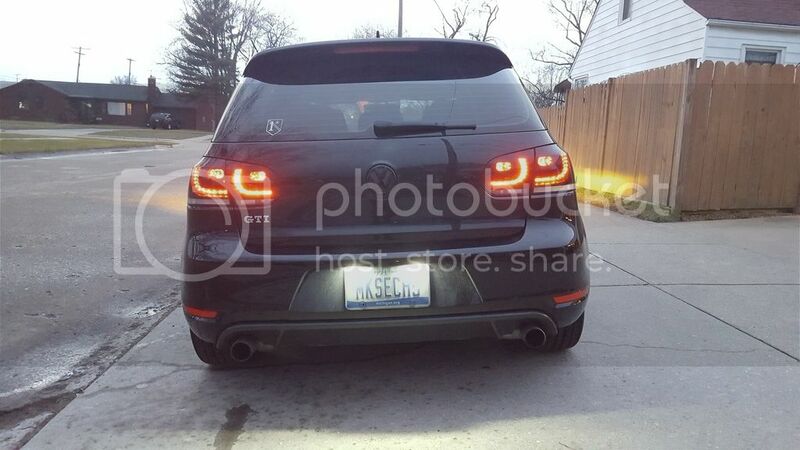 Also, I bought a set of smoked LED taillights from a fellow forum member. They need to be coded. I need to find someone local that can code them via VAGCOM. 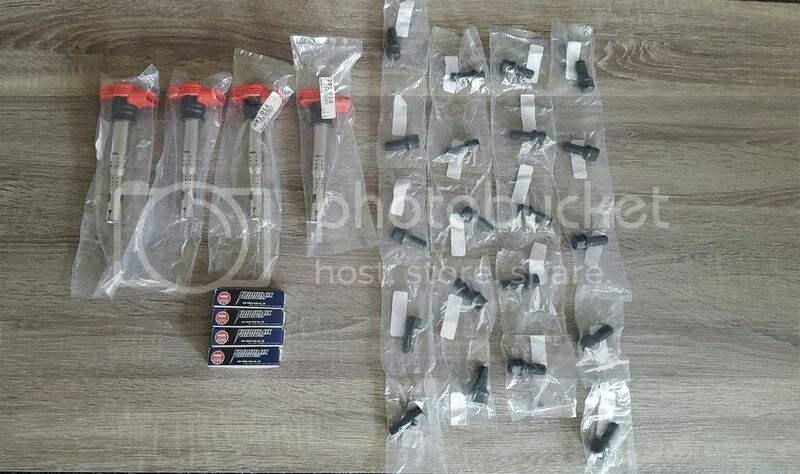 I bought R8 coil-packs, and NGK plugs, in preparation for stage 2. Also, black wheel bolts to tie in with the black wheels. Up next will be coil-overs, followed by turbo back exhaust. The car is still away for winter storage, Although it has been a mild winter. I've been itching to drive it! 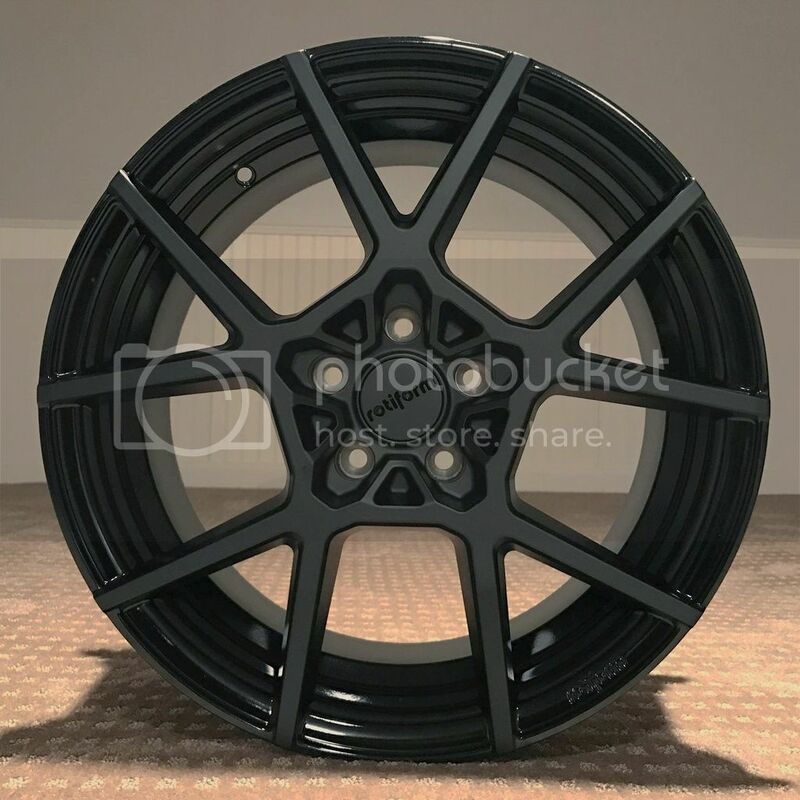 I'll likely have them installed next weekend, along with the wheels. Super excited to finally have the car out of storage and get everything installed!